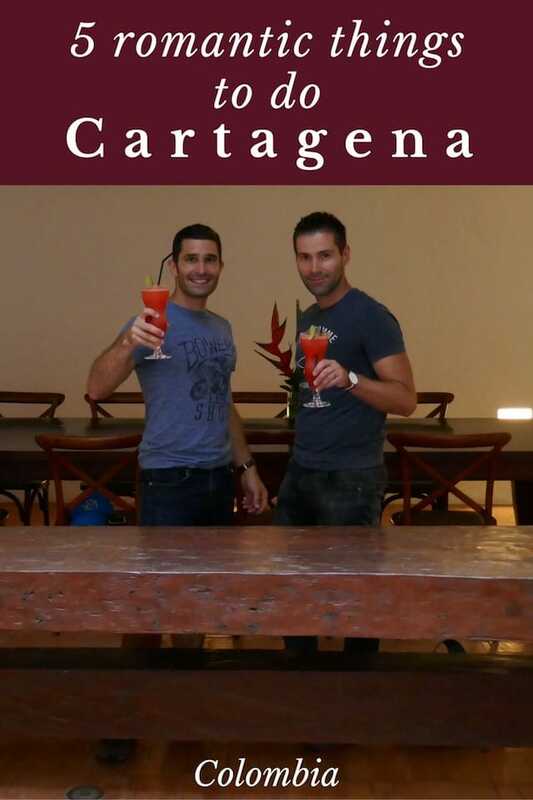 Cartagena will always be a special place for us. It's the place where we got engaged: the moment when Stefan (finally!) asked Sebastien to marry him. If you're looking for romantic experiences, there's no better place for it than this fairy-tale-like Colombian coastal city. It has the sunsets, beaches, beautiful UNESCO ancient old town and more. 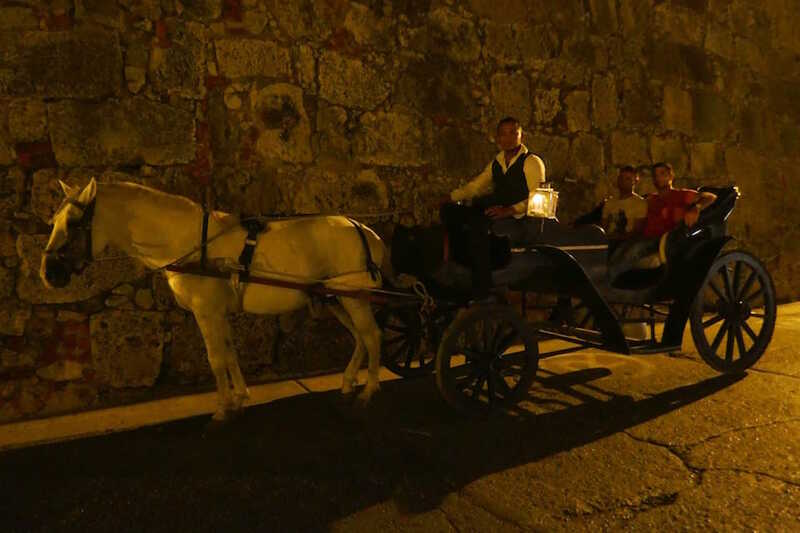 Here's our favourite 5 romantic things to do in Cartagena. Cartagena has many excellent luxury hotels to stay like the Sofitel Legend Santa Clara, Bastion Luxury Hotel and more. 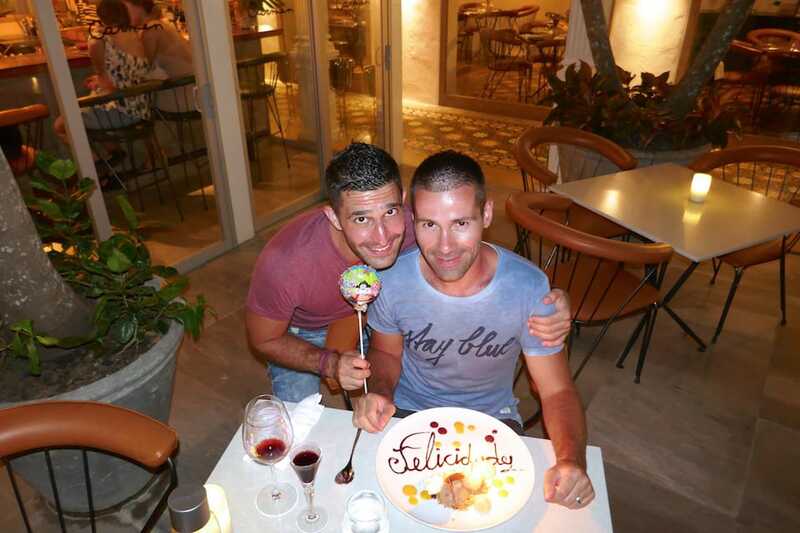 However, there's also more intimate boutique hotels, which are more exclusive and aimed at gay couples. We stayed at the Hotel Quadrifolio, located right in the heart of the walled old town and absolutely loved it. Hotel Quadrifolio is very exclusive with only 8 suites available all decorated with chic and style. The hotel also has its own pool and rooftop hot tub which is heavenly to chill out in together after a day spent exploring the old town. 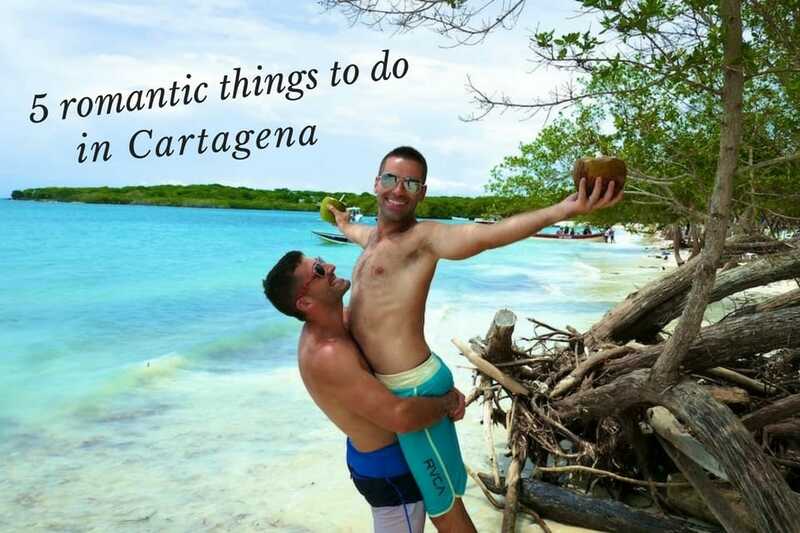 For more, check out our gay guide to Cartagena featuring the best gay friendly hotels, bars, clubs, things to do and more. The ocean facing side of the ancient old city walls is the perfect spot to watch the gorgeous sunsets. Every evening you're rewarded with more and more delicious #sunsetporn. Our favourite spot is the view from Café del Mar, located on the Santo Domingo bastion, facing out towards the ocean. 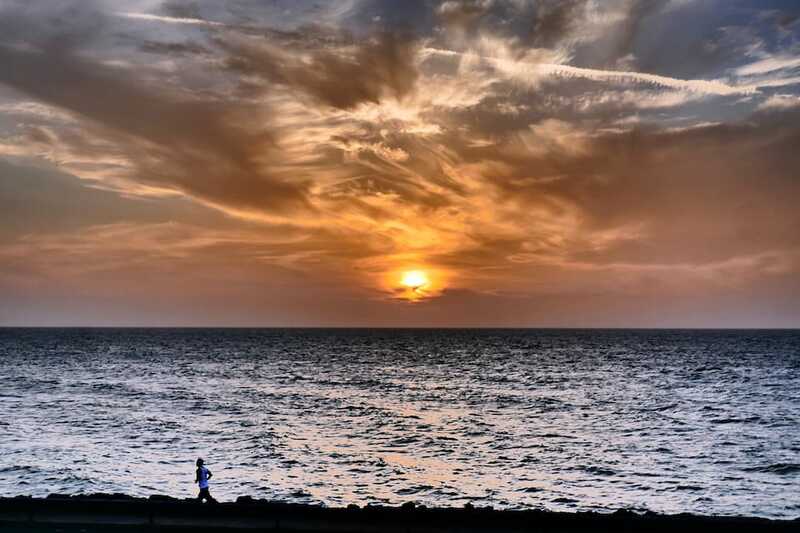 It's one of the most popular places to come and watch the sunset in Cartagena, but as a result it's expensive compared to other bars and attracts a fairly large crowd. An alternative is to bring your own drinks and walk along the walls to find your own little spot where you can sit and enjoy the sunset together. Cartagena is surrounded by many islands including the Rosario archipelago and Baru Island. One of the finest beaches is Playa Blanca on Baru island, 20km southwest from Cartagena. It has a large stretch of powder white sand, but gets very. Another excellent but more secluded beach worth visiting is Agua Azul, located further south on Baru island. You can reach the beaches by boat on a private tour, or independently by taxi and boat. You can find the taxi drivers at at Mercado Bazurto in Cartagena who will take you to where the boats depart. The boats depart in the morning between 7:30-9:30am every day except Sundays. For the return, the last boat leaves Playa Blanca at 3pm. You can read more about how we celebrated Seby's birthday on a boat tour in Cartagena islands. Cartagena has many highly rated fine dining restaurants. Stefan needed to find one to take Sebastien for his birthday dinner and of course to propose to him. He used Tripadvisor's list of the top fine dining restaurants Cartagena, asked several locals and was consistently told by almost everyone to go to Carmen. Carmen offers a choice of either a 5 or 7 course tasting menus with wine pairing. The food is absolutely delicious, on par with Michelin style restaurants we've tried back home in Europe. Every dish was bursting with flavour and the wine pairing was spot on. Some of our favourite dishes included the fresh octopus, ceviche and beef carpaccio. The staff were very welcoming and friendly but without being intrusive. They brought Sebastien a surprise cake with candles to celebrate his birthday. He made his wish, blew out his candles and at that moment, Stefan surprised Seb and asked him to be his husband.